HAS DEPOSIT! 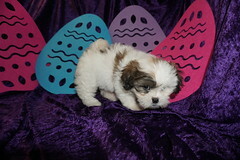 Solid White Female CKC Havashu Our Little Snowflake! 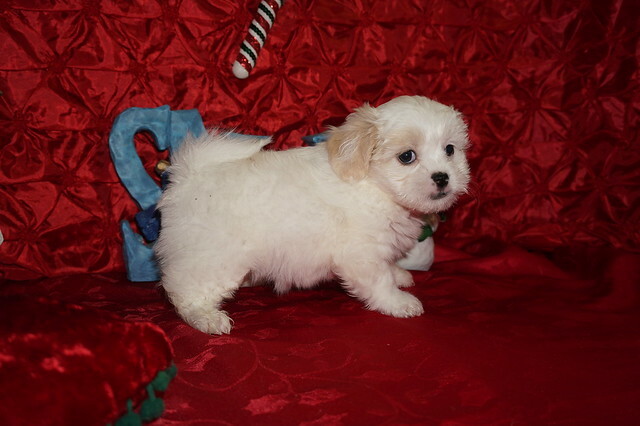 If you’re looking for a small, puppy, Princess Snowflake is the puppy you’re looking for! She is as big as a heart beat. Snowflake is the sweetest girl who loves cuddling, playing, eating and sleeping on your shoulder. This sweetheart is very good at getting your attention and is the first puppy everyone goes for when seeing litter for the first time. 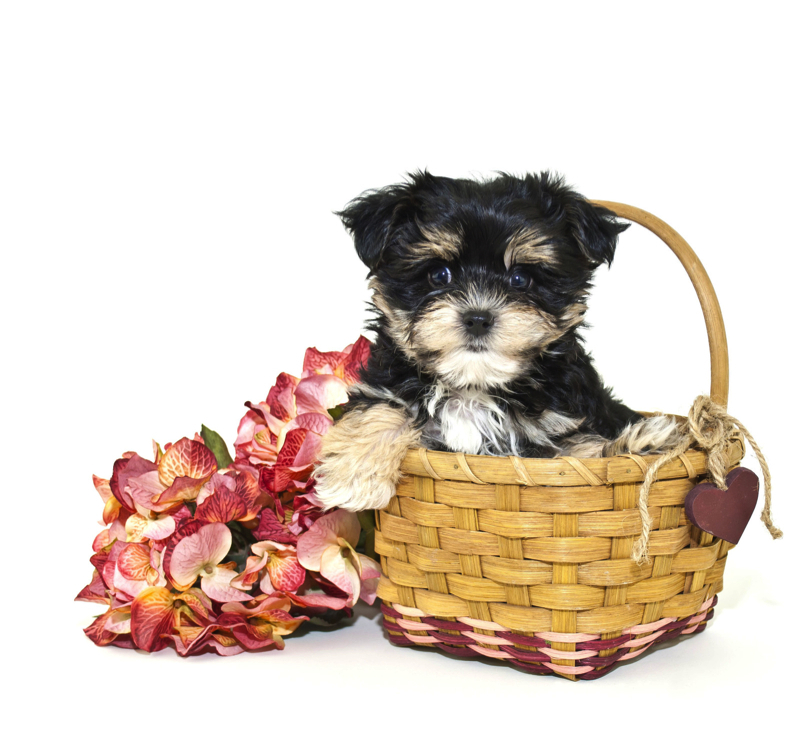 This adorable puppy can’t wait to be held in your arms and be loved. Just imagine all the fun things you can do! Whether shopping all day, taking a stroll on the beach or cuddling by the fireplace, Snowflake will surely be the loving companion you’ve been looking for. Snowflake is our little princess and is the cutest little gal. She is one of two females in this litter of four. The litter theme is winter and Christmas since they are a Dec litter. Just look at her gorgeous white hair with a pinch of cream and you will just love her adorable short stocky build and full tail. Snowflake is a female CKC HavaShu (that is a Havanese & Shih Tzu mix) She is toy size so estimated adult weight is 8-10 lbs unlike regular Havanese that weigh 18-22 lbs She is the cutest baby girl who is ready to steal your heart! « SOLD! Joseph Goreous Red Male CKC Maltipoo Says Merry Christmas!